Looking for the best citrus juicer for you? Well, good - citrus juicing is pretty limited (you're pretty much only juicing citrus, after all), but we love it 'cause it usually serves as a gateway into juicing all kinds of other goodies! And we're all about that. Manual citrus juicers really vary in price. 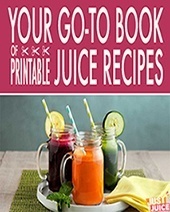 You can opt for a simple but very functional "squeezer" juicer for less than $10 - or go for a top-of-the line sleek manual press citrus juicer, which can range anywhere from $35.00 to $190.00! Take, for example, this citrus juicer - it's $160. ​As you can see, there's a manual citrus juicer for every budget. Okay, but why would you want one? Super easy clean-up. The best thing about a manual vs an electric juicer is the time spent cleaning it up. There are not as many parts to a manual juicer and the cleanup take a minute or two. Totally silent. Manual citrus juicers make no noise - perfect if you're an early morning juicer. No electricity required. Which means less money spent on bills and no need to worry if you go traveling - you can bring it along! Easy to use. You might not want to go through the hassle of hauling out an electric juicer just to make one glass of orange juice - but a simple manual juicer is quick and easy to use. Takes longer. Manual juicers take longer - especially if you're making a lot of juice. Laborious. Some welcome the workout but if you're arthritic or just don't want to work so hard for juice - skip the manual juicer. No pulp control. This one's probably the biggest drawback - manual juicers don't have pulp settings - so if you want pulp free juice, you'll want an electric juicer. The best thing about electric citrus juicers is that...they don't have to juice just citrus. More juice in less time. 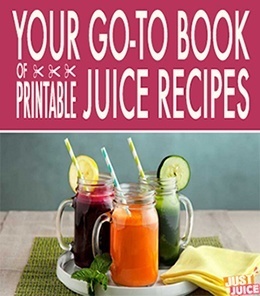 If you're looking to make a lot of juice, with little effort, in a short amount of time - get an electric juicer. Super easy to use. Electric juicers do pretty much all the work for you. Pulp control. 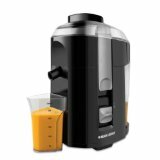 Most electric citrus juicers let you control the amount of pulp you want in your juice - a huge plus if you like your juices pulp free. Can handle various citrus fruits. 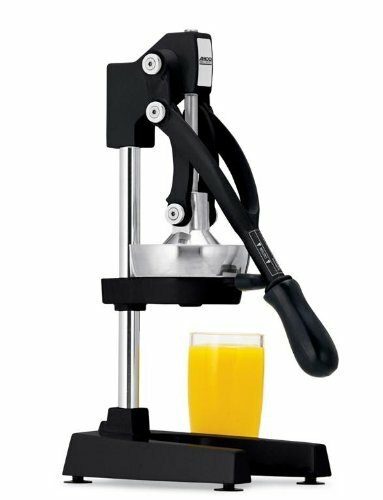 If you want to juice everything from limes to grapefruit - you'll need to get several "squeezer" types of manual juicers (one for each size) - but most electric citrus juicers are built to accommodate all citrus fruit sizes. Longer cleanup time. Electric juicers typically have more parts, so they take slightly longer to clean. Can be noisy. Some of the electric citrus juicers are loud. Not all, though (fortunately). Price. Electric citrus juicers aren't expensive - but their starting prices are higher than manual juicers. 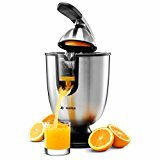 ​Okay, not that you have an idea of the pros and cons of manual vs electric citrus juicers, let's take a look at the best of each kind! 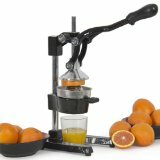 The Jupiter Juice Press is hands down the best manual citrus juicer on the market. 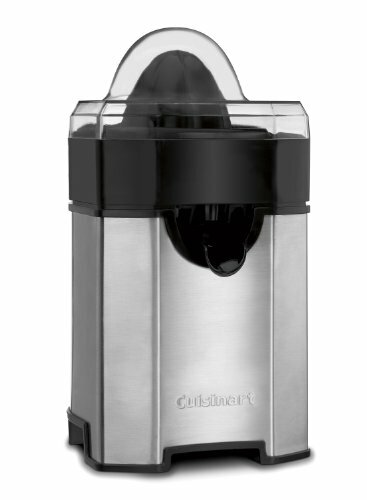 Sure, it's a bit price-y but it does a great job squeezing every last drop of juice out of all citrus fruits so you know you're not wasting any fruits (which will add up to more than what you spend on this juicer). It's heavy duty enough to hold up even if you're juicing copious amounts of juice and it'll pretty much last forever. The cleanup is super easy as well. The only drawbacks are that you don't get pulp control and that it is quite heavy and requires a bit of muscle. But you do get great juice yield with this beast and it takes about a minute to squeeze yourself a glass of fresh juice! 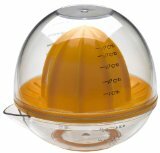 Super simple, very affordable and easy to use - this is a great manual citrus juicer if you just want to make an occasional glass of orange juice. ​Drawbacks are that it's pretty limited - only limes, lemons and oranges - and of course, it doesn't come with options like pulp control. But it is really good at what it does - making orange juice - and is super easy to clean up! This manual citrus juicer is a great choice - affordable, heavy duty and capable of extracting high juice yield from limes, lemons, oranges and grapefruit. Honestly, we think this the best citrus juicer (not just the best electric citrus juicer) - why? 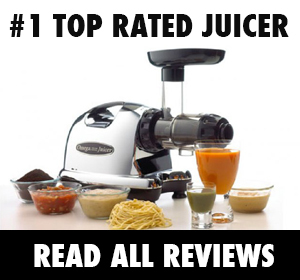 Plus, it's very, very affordable - even moreso than many manual juicers. But the best part? It's got a pulp control so you can drink pulp-free juice when you want to! Want more than a juicer that just juices citrus? Another great choice - quiet, affordable, barely takes up any counter space and yields very high juice quantity out of every kind of citrus fruit. Okay, the above are our top picks of the best citrus juicers - both manual and electric. Just remember, though, that some of the best juicers on the market do a great job juicing citrus and a wide range of other fruits and veggies - so if you're planning on juicing more than citrus and care about juice quality, we'd recommend opting for a great, versatile slow juicer today rather than later. See the best ones here!